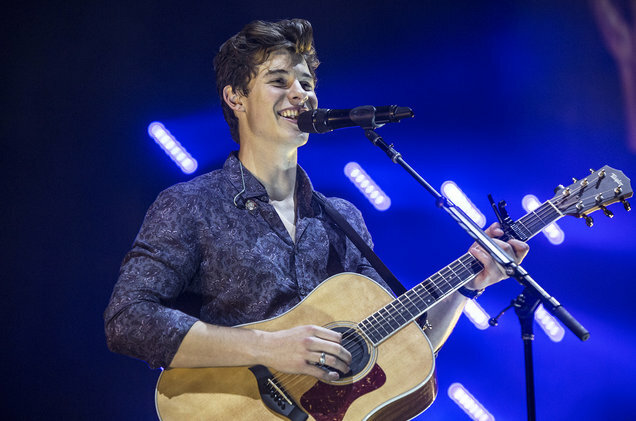 Shawn Mendes has continued his early success, as he became the first artist below the age of 20, to log four songs at No. 1 in the Adult Pop Songs radio airplay chart. The song to earn him hits fourth No.1 is called ‘In My Blood’, which has risen up a place from No. 2 to finish at No. 1 in the charts dated the 4th of August. Mendes, who will turn 20 on the 8th of August, already had the record with most No. 1s, as no other artist had even managed three in their teenage years. The singer had managed the top spot of the Adult Pop Songs chart for the first time with ‘Stitches’, which was No. 1 in the February of 2016. The second song to do so was ‘Treat You Better’, which ruled the rankings for a total of six weeks, with the run beginning in October of the same year. His last No. 1 was in September of last year, when ‘There’s Nothing Holdin’ Me Back’ spent five weeks at the summit. The pop singer now has twice as many songs to feature at No. 1, as the next teenager on the list. The runners-up spot is shared by two Canadian artists Avril Lavigne and Lorde. The former managed it with ‘Complicated’ in 2002 and ‘I’m With You’ in 2003, with the latter taking the prize with ‘Royals’ in 2013 and ‘Team’ in 2014. The Adult Pop Songs chart is calculated by Nielsen Music, which measures the songs activity on adult radio stations during the week.